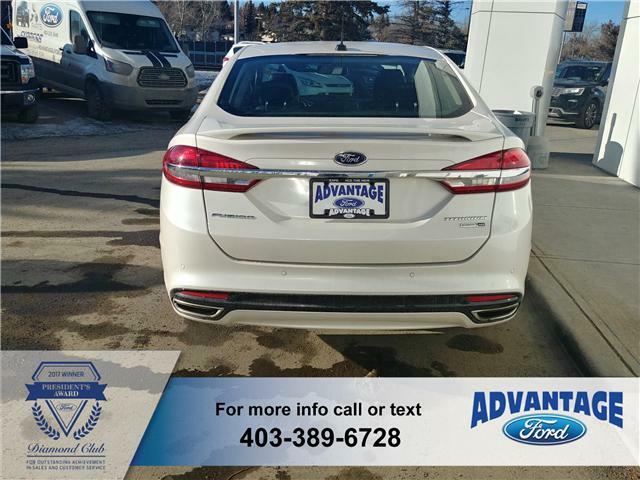 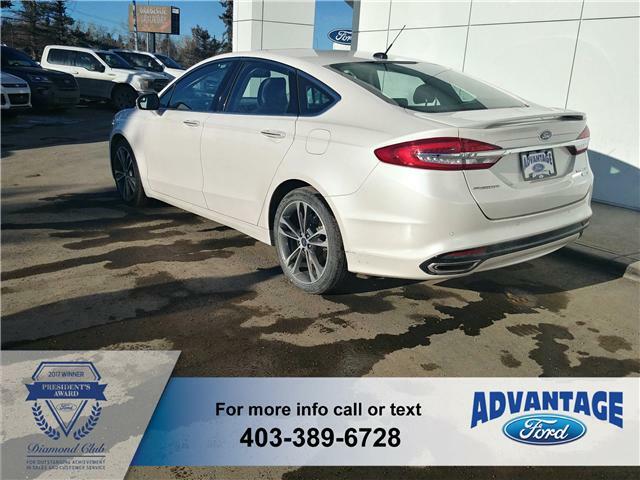 A great family Sedan with AWD! 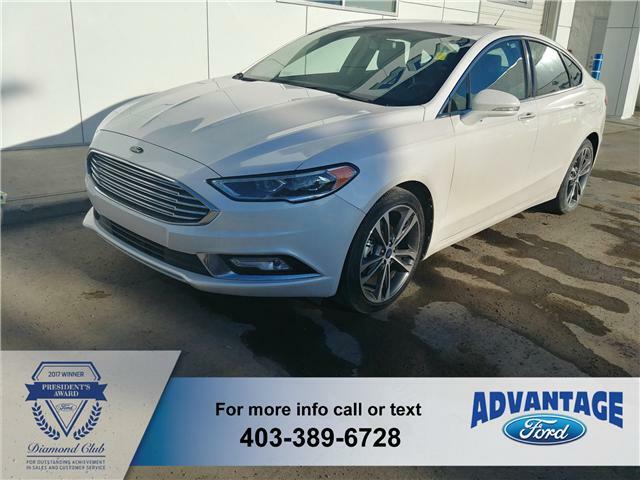 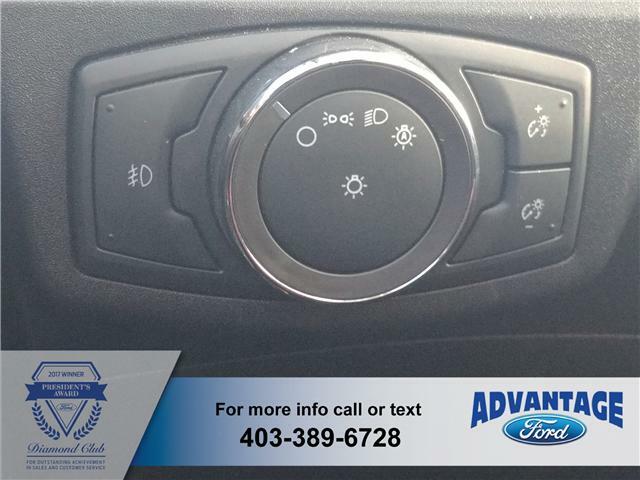 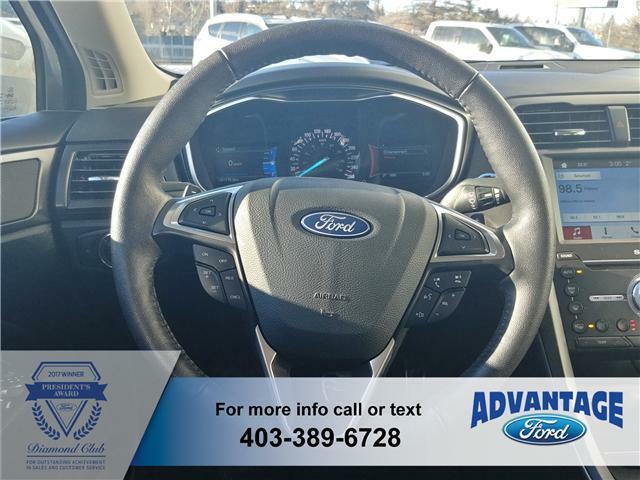 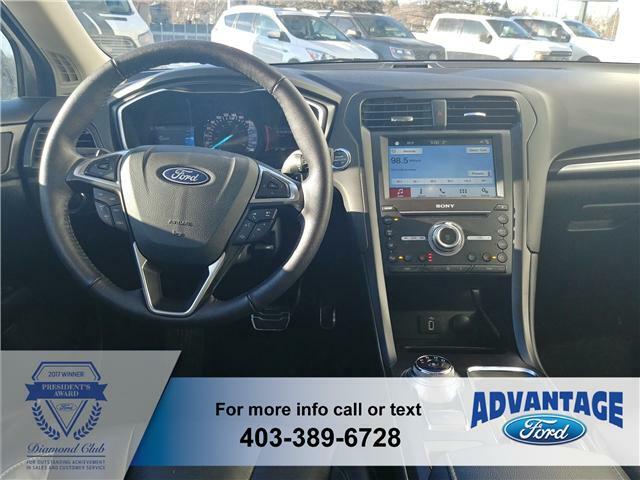 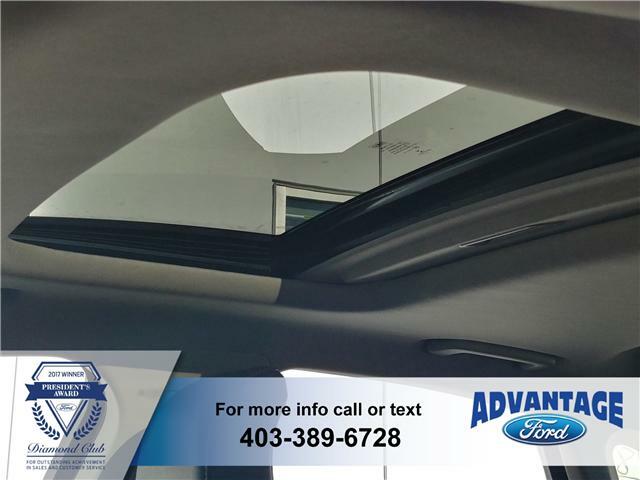 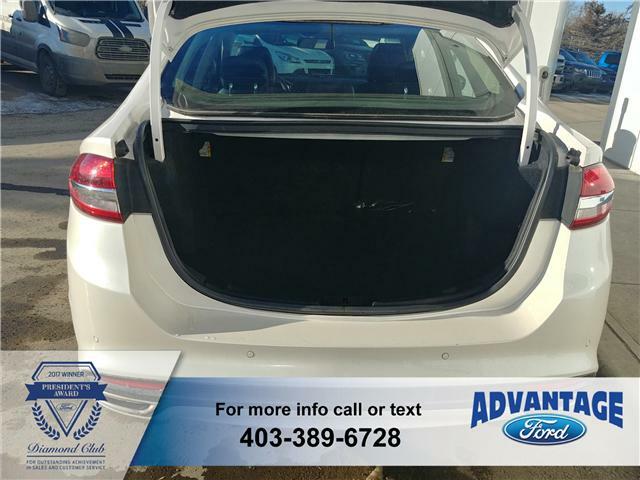 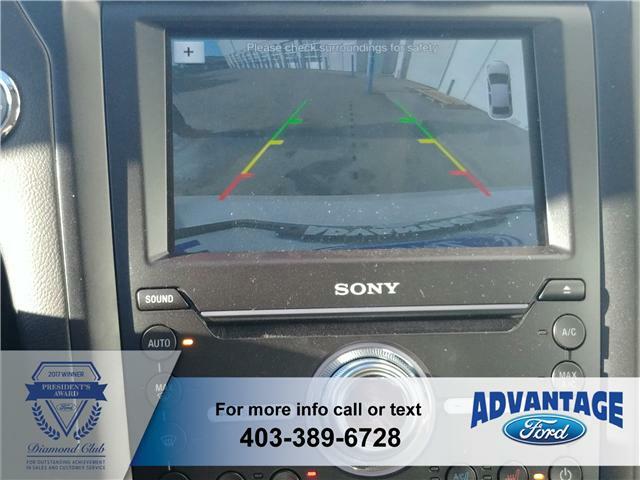 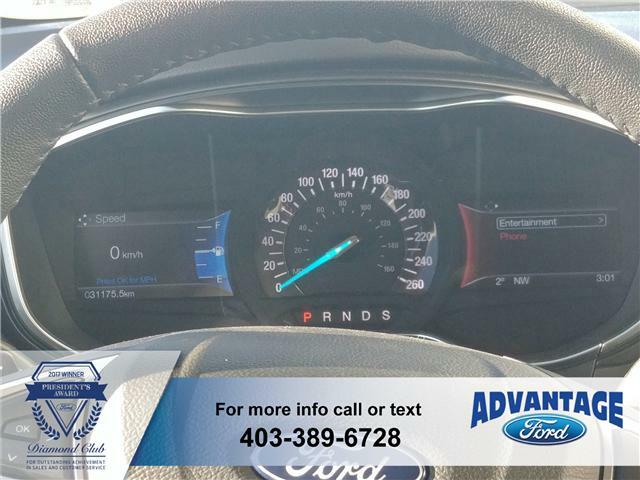 This Platinum model features heated / cooled ebony leather seats, remote start, cruise control, moonroof, MyKey, reversing camera / sensors and more! 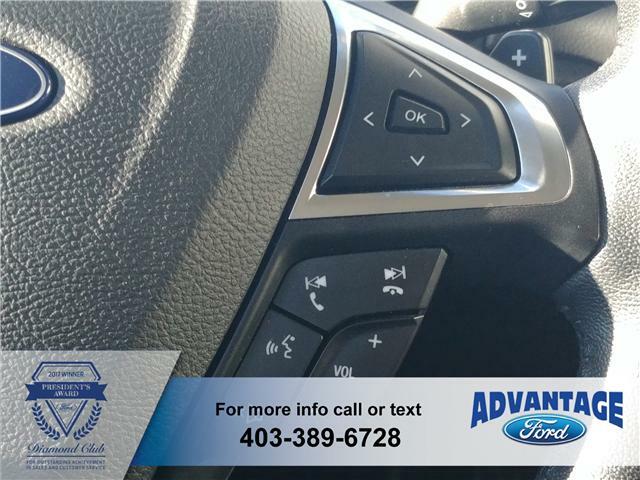 This previous rental vehicle has a clean Carfax report. 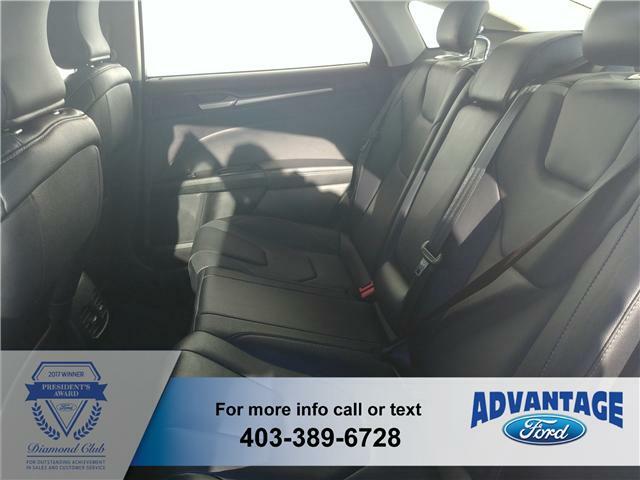 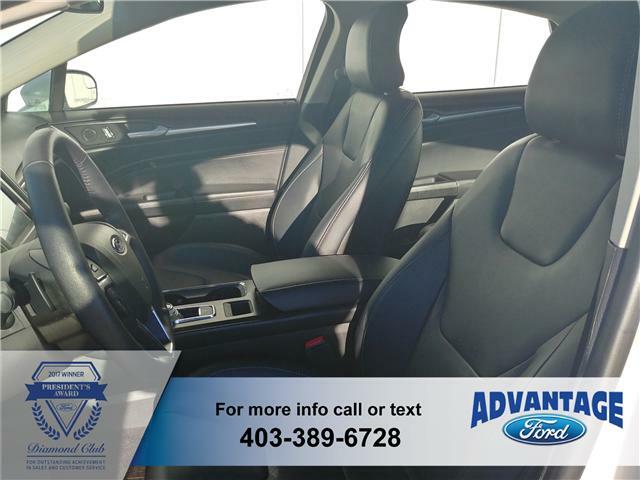 Heated Leather Front Sport Seats Includes 10-way power driver seat with 2 memory settings and 10-way power passenger seat. 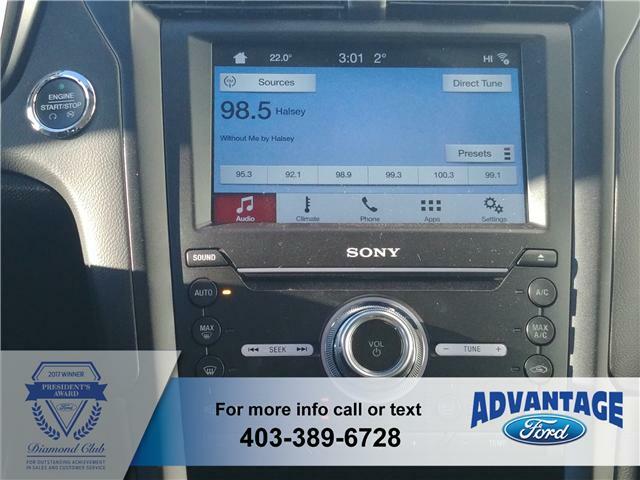 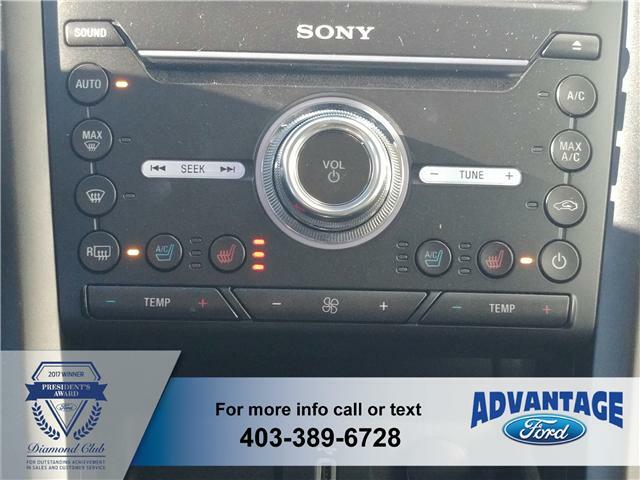 Radio: AM/FM Stereo w/MP3/Single-CD Player Includes SiriusXM satellite radio with 6-month prepaid subscription, Sony Premium Audio with 12 speakers, HD Radio, Apple CarPlay and Android Auto.SYNC 3 Communications & Entertainment System Includes enhanced voice recognition, 8" LCD capacitive touchscreen in centre stack with swipe capability, AppLink, 911 Assist and 2 smart-charging USB ports. 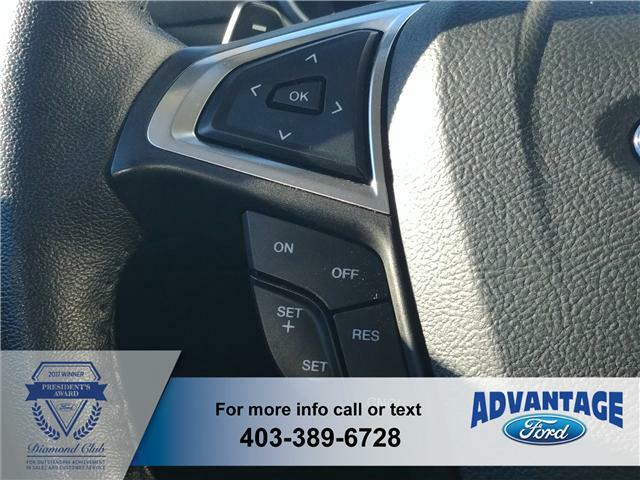 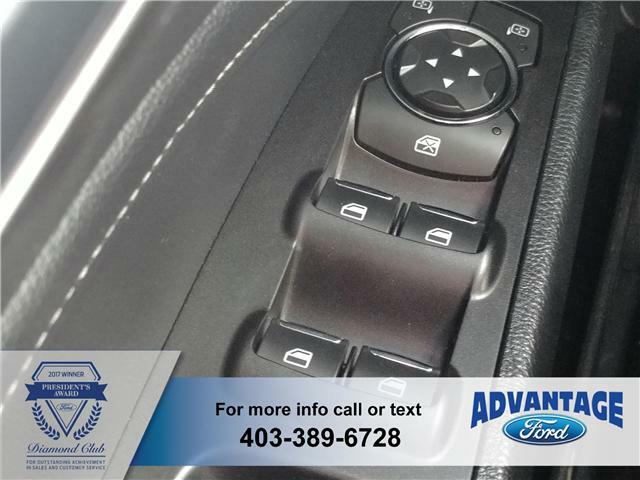 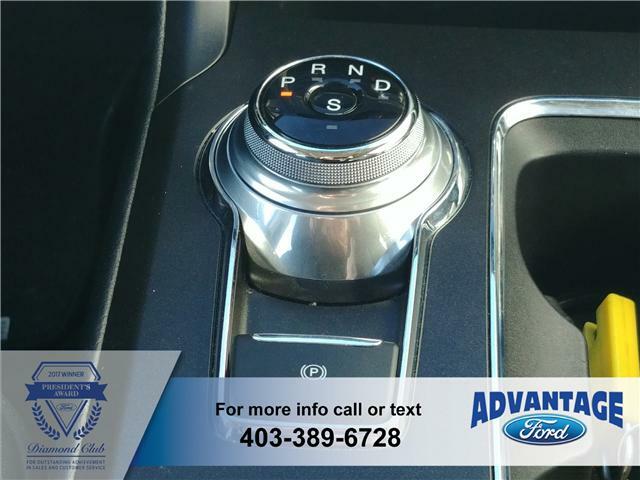 Transmission: 6-Speed Automatic Includes steering wheel mounted paddle shifters. 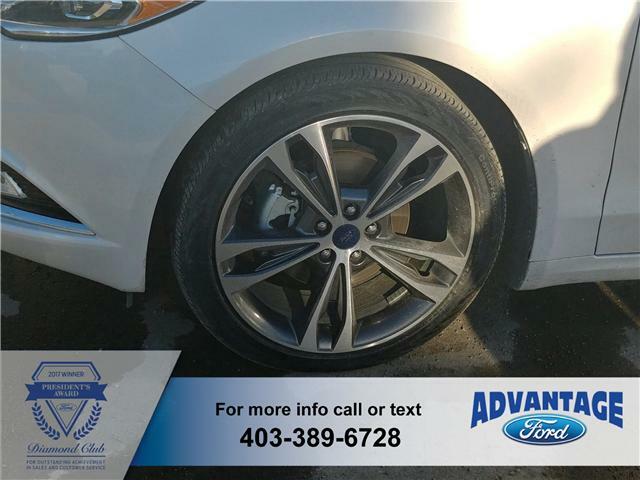 Wheels: 18" Machine-Faced Aluminum Includes magnetic painted pockets.